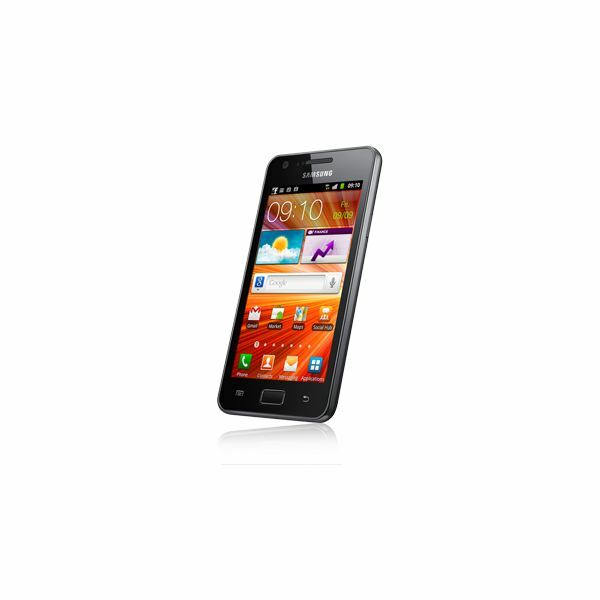 Samsung Galaxy R Review: Cheaper S II? Sometimes mobile phone companies make baffling decisions, in this particular case, they made a very powerful phone, then made an ever so slightly less powerful sibling, and priced them $50 apart. I'm talking about the powerhouse that is the Samsung Galaxy II and the phone we're reviewing today, the Samsung Galaxy R.
The Samsung Galaxy R has a few minor and major differences when compared to the Galaxy S II, and costs about $50 with a contract. So, shall we find out if you get a lot of bang for $50 less of your buck? Or should you just add the $50 and get the best of the best? Ever seen the original Galaxy S? 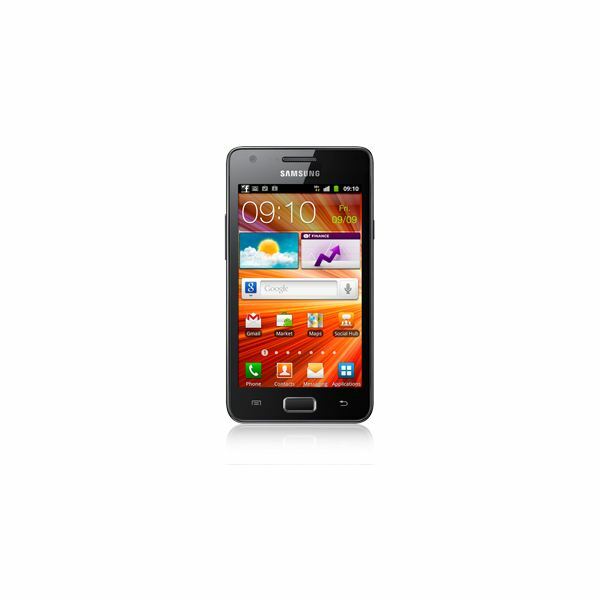 The Samsung Galaxy Ace? Even the Samsung Galaxy S II? Then you've seen the Samsung Galaxy R. Slightly thicker than the Galaxy S II with dimensions of 4.93 x 2.60 x 0.37 inches (125.3 x 66.1 x 9.45 mm) and a hair heavier at 4.67 oz (135g), this virtual clone of the Galaxy S II feels well built and tightly fitted. The quality of the plastic here is superb, it'll survive a drop or two. At the front we have a 4.2 inch SUPER CLEAR LCD screen, with a resolution of 480 x 800 pixels and capable of supporting 16 million colors. Under the screen we have a rectangular home button and two touch sensitive Settings and Back buttons. Up above we have the 1.3 MP front facing camera and the hidden brightness and proximity sensors. On the left side is the thin, but tactile volume sensor, onto the right we have the Power/Lock button and on top the 3.5 mm headphone jack, down under is the open microUSB slot. Behind we have the 5 MP camera and the truly miniscule flash hole. The microSD card is inside the battery cover. The combination of TOUCHWIZ 4.0 and Android 2.3.4 (Gingerbread) is in short, fantastic. The seven home screens zip and blitz across the screen without an issue, and the pinch-to-zoom for bringing all the home screens into view is a very nifty trick. Of course apps will be subject to side swiping, and the pull-down bar has no surprises. An interesting new addition is the ability to re-size certain widgets. But if a speed comparison is made between the Galaxy S II and the Galaxy R, the S II is much faster. If you leave a lot of apps open and try swiping through the home screens quickly, you'll notice a moment or two of lag on the Galaxy R. No such issues on the S II. The QWERTY keyboard is pretty good, it's not Swype enabled, but otherwise a perfectly suitable and type-able interface is on offer, even for thick fingered users. Of course, you have the super amazing standard Android phonebook at hand, all social contacts are automatically synced, you get a full messaging experience, with your social contacts carried over from contacts into the IM app, and full IMAP4/POP3 options available. The Samsung Galaxy R is as feature stocked as they come. Connectivity is lacking only in the 4G/WIMAX department, since this is an international GSM phone, putting 4G in was probably going to be overkill. So you have HSDPA 900/1200 for high speed connectivity, while the 2G frequencies of 850, 900, 1800 and 1900 deal with calls. Local connectivity is handled via Bluetooth 3.0, Wi-Fi, microUSB 2.0 and GPS. Now for the show stopper, unlike most phones, including the Galaxy S II, the Galaxy R runs on a dual-core 1 GHz ARM Cortex-A9 processor, with ULP GeForce GPU for graphics and its main claim to fame, of course, is the Tegra 2 chipset. So in short this is a very fine phone for HD gaming, very fine indeed. Internal memory is capped at a generous 8 GB, with 1 GB of RAM and a very generous 2 GB of ROM. As for the auto-focus enabled 5 MP camera, it falls a bit short. Pictures turn out looking very washed out, especially with green objects on a white background. Distant shots turn out grainy with very sharp edges, and foliage shots always turn out oily looking. But somehow pictures turn out in a light fluorescent blue when taken in low light, courtesy of the flash. If you're looking for shooting modes in the Galaxy R, you won't be disappointed. Smile shot, Panorama, Sports, Sunset, Landscape, Portrait, Indoors and many more are available. The 720p HD videos are suitable for home viewing, there's a little bit of pixelation on moving objects, but otherwise sound quality and color fidelity combined with the capture rates make for decent 720p videos. The music player is the standard remix of TOUCHWIZ 4.0 and the native Android player, somewhat of a mixed bag in terms of design, and if you're looking for a cover flow like design, you'll be disappointed. But otherwise you get stellar sound quality, a fantastic radio, preset equalizers and full album cover support. Audio file support is a bit limited at MP3, WAV, OGG and eAAC+ being the only playable formats. Of course the awesome video player more than makes up for it, you can easily and flawlessly play 720p HD movies in the MP4, DIVX/XVID and WMV, formats. Colors are bright, but focused, and there is never any skip in sound or picture movement. If you enjoy watching movies on your smartphone, the Galaxy R is a pretty good choice. The Samsung Galaxy R comes with the standard arrays of features, such as — GPS, JAVA, SNS integration, a digital compass, an organizer, image/video editor, document editor (works with Word, Excel, PowerPoint, PDF), Google Search, Maps, Gmail, YouTube, Calendar, GTalk, Picasa integration, Adobe Flash support and voice memos, dials and commands. The Galaxy R uses a secondary microphone for background sound cancelation. The good news is it works, fantastically. Voices sound natural and clear, while the signal always manages to maintain a few bars unless you wander into a dead zone. The loudspeaker continues the same story, with the only complaint being its rather low volume output. As for the web browser, it again falls into the category of excellent. The Flash 10.2 does absolutely nothing to slow down the experience or create lag. The pinch-to-zoom works wonderfully and the Safari like side-by-side view of your full paged tabs is awesome. Both visually and performance wise, the Webkit browser on the Galaxy R is a pretty sweet deal. As for the battery life, you'll get about 9 hours of talk time out of the Li-Ion 1650 mAh battery. Yep that's a pretty big battery, and it lasts for 10 hours easily on average use, about 6 hours on heavy use and 4 hours on super heavy use. The Samsung Galaxy R has very few flaws, the only major flaw is the weak camera. Otherwise, the Galaxy R stands as an excellent phone on its own merits. 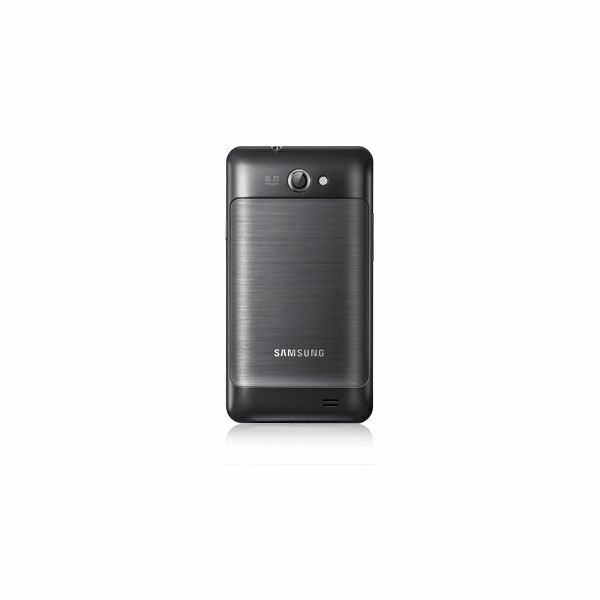 But, the Galaxy S II is a much better phone, and if you have the extra $50 to spare, then please go buy the S II. Otherwise the Galaxy R has to face off against the HTC Sensation at a similar price-tag. With a jaw dropping UI, a much better build and camera, the HTC Sensation is a better choice. The Galaxy R simply has too many better enemies and allies, most of them at the same price or slightly more expensive, but with much better specs to offer. So when it comes to bang for your buck, either save up an extra $50 for the best of the best, or go buy the HTC Sensation.